This entry was posted in Building Things on March 15, 2013 by NRR. 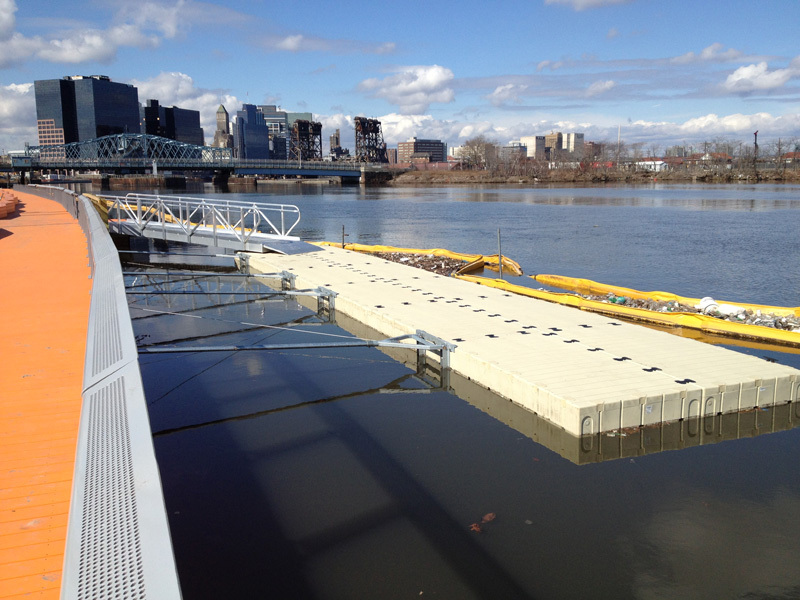 For the first time in 100 years, Newark has a public boat dock. Connected to the orange boardwalk, the dock is made from plastic panels measuring 60 feet across and 10 feet wide. The dock floats, held in place by “strong-arm connectors” attached to the boardwalk. Purchase and installation was funded by a grant to Newark Riverfront Revival from the New Jersey Department of Transportation Office of Maritime Service’s I BOAT NJ Program, which uses a fraction of registration fees paid by boaters to improve public maritime infrastructure. Thanks to the I BOAT NJ team for their patience and continuous helpfulness! 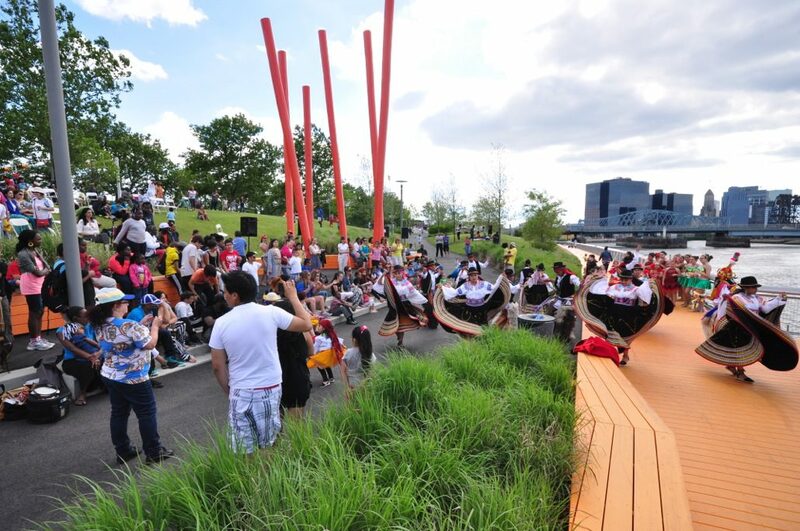 The dock was designed with events like the Passaic River Paddle Relay and Project USE’s boatbuilding program in mind. Newark Riverfront Revival is working to recommend procedures and rules for the dock’s operations. If you are involved with boating, or want to become involved with this effort, email Newark Riverfront Revival. This entry was posted in Building Things on March 10, 2013 by NRR. This entry was posted in Riverfront News on March 5, 2013 by NRR.